Quantitative neuroanatomical data are important for the study of many areas of neuroscience, and the complexity of problems associated with neuronal structure requires that research from multiple groups across many disciplines be combined. However, existing neuron-tracing systems, simulation environments, and tools for the visualization and analysis of neuronal morphology data use a variety of data formats, making it difficult to exchange data in a readily usable way. 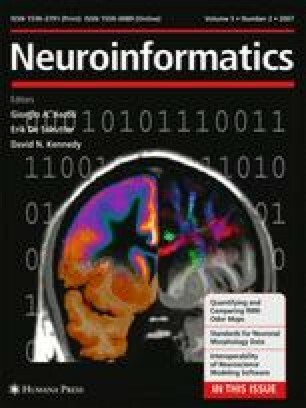 The NeuroML project was initiated to address these issues, and here we describe an extensible markup language standard, MorphML, which defines a common data format for neuronal morphology data and associated metadata to facilitate data and model exchange, database creation, model publication, and data archiving. We describe the elements of the standard in detail and outline the mappings between this format and those used by a number of popular applications for reconstruction, simulation, and visualization of neuronal morphology.